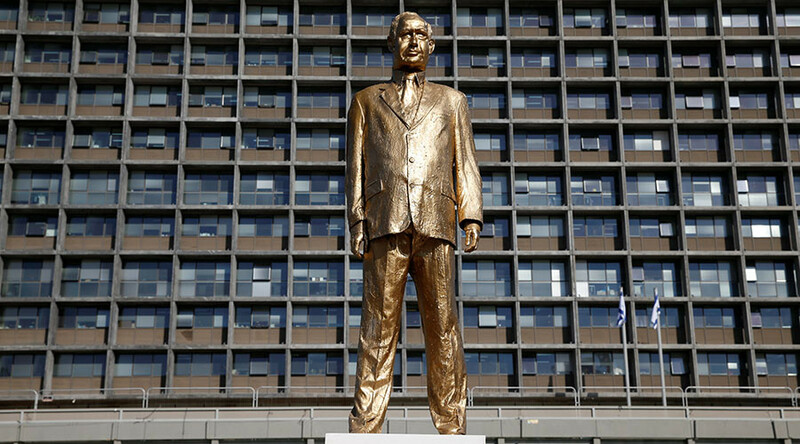 A life-size golden statue of Prime Minister Benjamin Netanyahu which mysteriously appeared in the center of Tel Aviv has captivated social media. Though dismantled several hours later, passersby managed to take some cool pictures with the ‘Golden Bibi’. 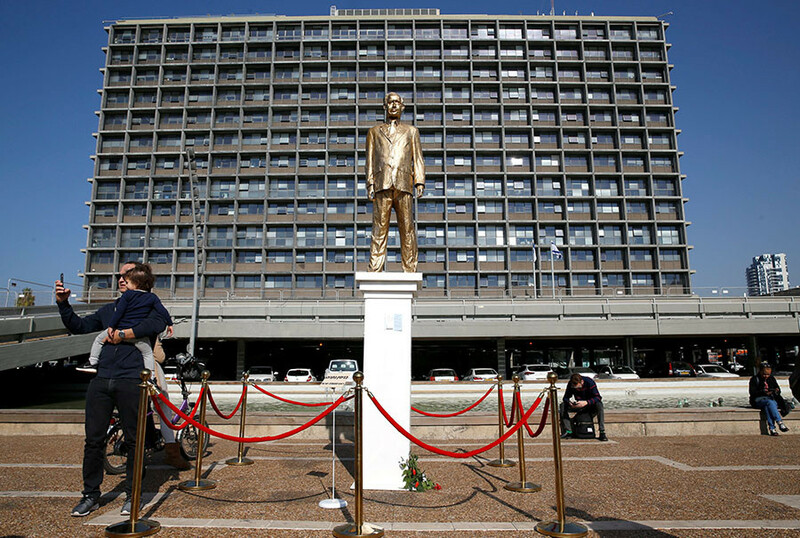 The statue of Netanyahu was seen in Tel Aviv's Rabin Square on Tuesday morning, Israeli media said. Cheering crowds immediately gathered in front of the Golden Bibi, taking selfies with the Israeli PM. The city authorities were not amused by the artist’s idea and ordered the statue’s removal. “The municipality is going to remove [the statue] and it’s a pity that they didn’t do it immediately," Dayan told i24news. "The sick idea of putting a golden calf – a statue of Benjamin Netanyahu in Rabin Square, which is the square where Rabin was assassinated upon the incitement of Netanyahu – he is a winner, a golden calf of the bible and people are what, expected to respect it?" The statue is "horrendous," one passerby, Nina Lobel, told Reuters, adding that the artist wanted "to show him [Netanyahu] as a dictator." Israeli Culture Minister Miri Regev called it an “expression of hatred towards Netanyahu” on her Facebook page. He was referring to the square’s name before it was changed to Rabin Square in honor of Yitzhak Rabin, the Israeli PM who was assassinated there in 1995. Facebook users even created a group calling on people to gather and dismantle the statue before the city authorities could do it. 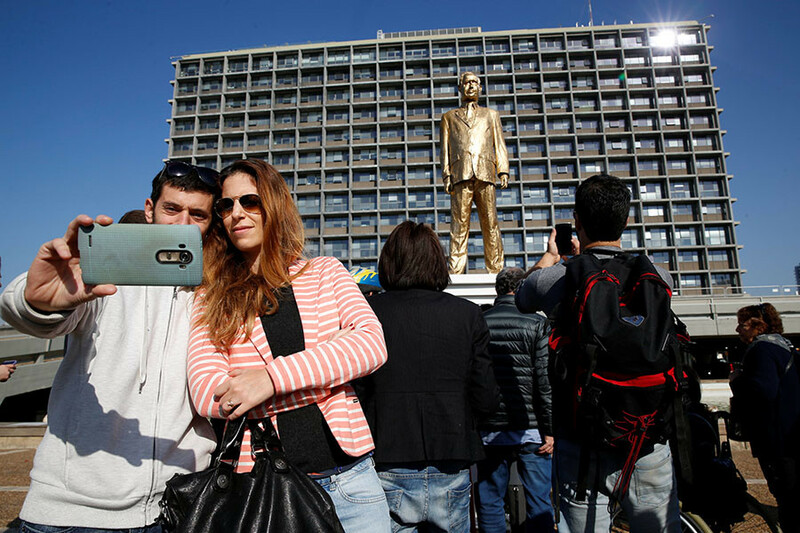 “Shoot the [statue of] Bibi, before the city does it,” wrote the group. “There is no logical explanation for the unique phenomenon called Bibi in Israel. We must stop this obsessive ritual,” one person wrote on Facebook. The group released a video of the Golden Netanyahu being toppled, with many regretting that they were not present at the ‘ceremony’ to bring down the statue of the PM.